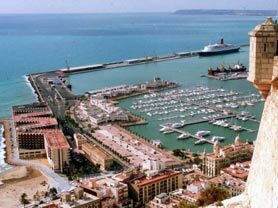 The 10th ECDL will be held in Alicante (Spain) in September 2006. The ECDL has become the major European conference on digital libraries, and associated technical, practical, and social issues, gathering researchers, developers, content providers and users in the field. Contributions and participation are welcome from scholars, researchers, developers and practitioners from a wide range of disciplines from all parts of the world. Submissions are invited for full or short papers, posters, demonstrations, panels, tutorials and workshops. The special topic of this edition of the ECDL Conference is "Towards the European Digital Library", with the aim of emphasizing the contribution of the European Digital Library research community (and its liaisons with the international research community in general) to the current efforts of the European Commission in this direction. Papers focusing on this topic are particularly welcome.